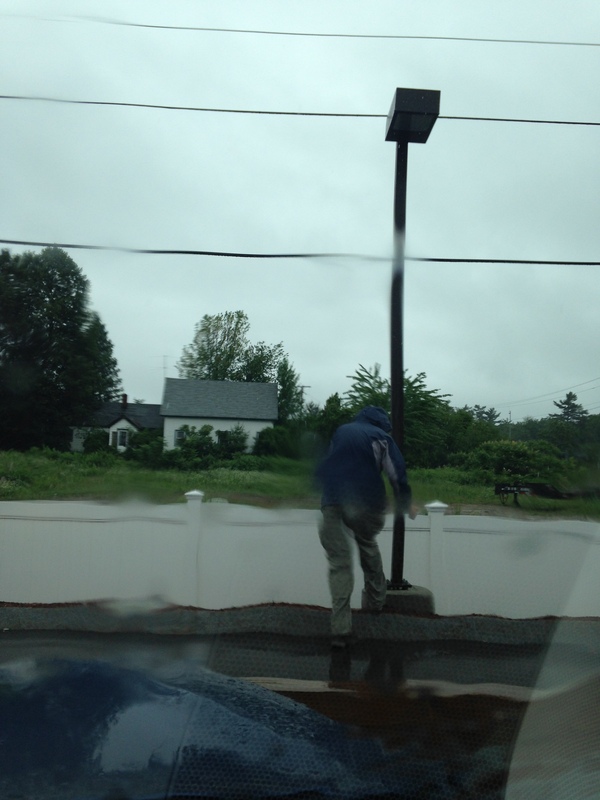 This weekend we drove to Poultney, VT, in the rain, to drop off our teenage daughter at German Camp. On the way we found a few geocaches. 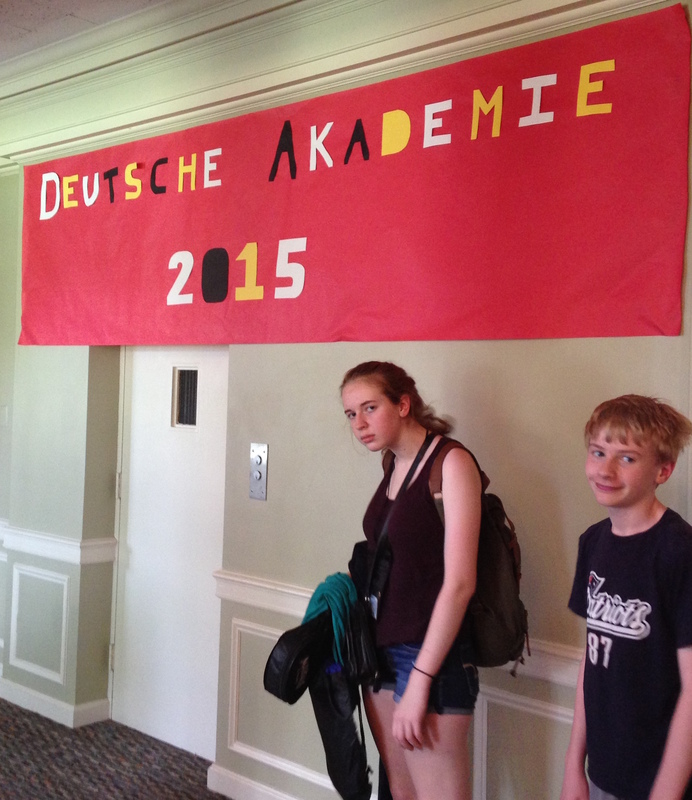 The “German Camp” is more accurately called the Middlebury Monterey Language Academy, a 4-week immersion program for high-school-age students, taking place this summer at Green Mountain College. My husband was born in Germany and is a native German speaker. I lived in Berlin for 8 months as part of a gap year between high school and college, studied the German language at Princeton, and worked in a medical lab one summer in Essen. Nonetheless, our efforts to raise our kids bilingual in New England have not been very successful, at least not yet. There aren’t all that many Germans here. 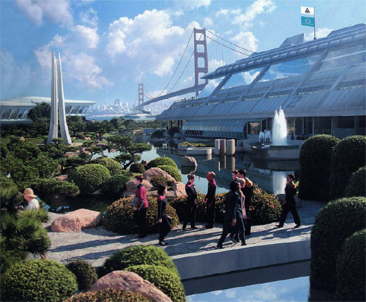 Or at least those that are here are well assimilated and speak excellent English. That was my problem too, even in Germany, especially when I was starting out: their English was so much better than my German that everyone tended to just switch to English to avoid the struggle. That’s not going to happen here at the MMLA. Students take a “language pledge” to only speak the target language for the entire 4 weeks. Their roommate speaks German, they speak German during meals and while playing soccer and board games. They watch German movies and put on German performance art. Once a week they are allowed to use their phones and speak English to their parents and friends. But we won’t even have to let her do that. And the Academy is pretty isolated. 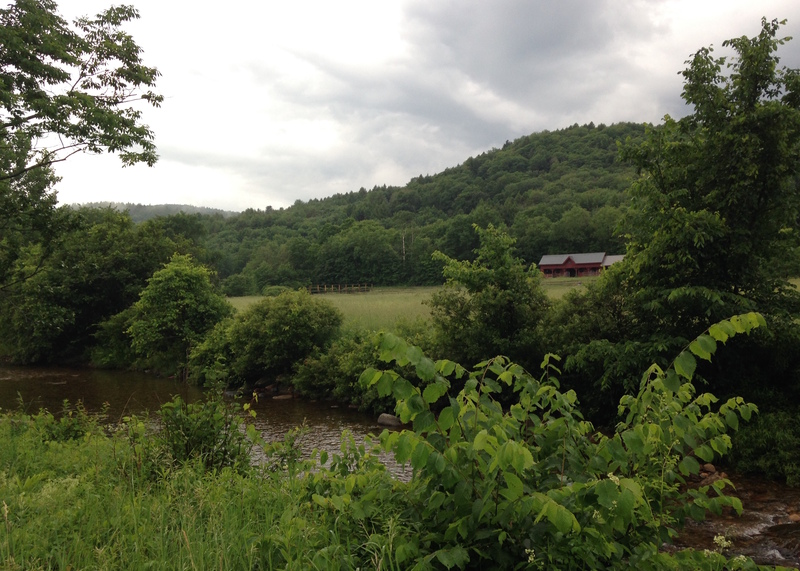 Vermont is beautiful and it’s easy to understand where the name comes from. But there aren’t many opportunities for socializing outside of your group on campus. You’re not actually going to LEAVE me here, are you? The sun came out, briefly, and signs directed us to check-in. Kids played soccer on the lawn. She got an ID, a T-shirt, and a key to the dorm. We went to a parent info session, where they discussed a concern that our daughter had been articulating on the way up. She had said, in consternation, “I can be funny in English. But I can’t be funny in German!” We were told that at first, when the students take the language pledge, the campus gets really quiet. The kids feel like they lose their personalities. But over the course of the month, they build them back up again in the new language. And the campus again comes alive with chatter and laughter. This is the first time our daughter has been to a sleep-away camp. It wasn’t really a thing when my husband was growing up in Germany, and it wasn’t part of my childhood experience in Western NY, either. We planned this camp back in the fall, before we ever thought we might be moving. But that’s what we’ll be doing when she gets back. So, it was weird driving home without her. Next stop: a cache in California! Our 12-yo son sat alone in the back seat, quietly playing on his iPad or trying to sleep. He didn’t want to get out and try to find any geocaches. I did, though; my husband and I got into kind of a rhythm, where he would stop the car at the guard rail and I would jump out, find the container, and sign the log. It was a series of caches, mostly pill bottles covered with camouflage tape, and one small lock-and-lock containing a cute travel bug. We can’t identify him, but he looks Pixar-ish. 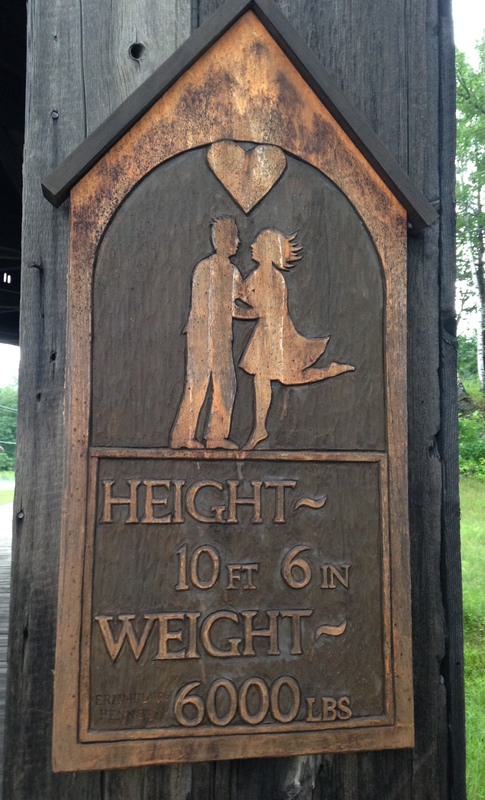 The last caches on our list were a travel bug hotel and a regular cache near “Kissing Bridge.” That is the name of a ski resort in New York state, near where I grew up, but it is also apparently the name of a covered bridge in Vermont. And the TB hotel has a really cute design that I won’t divulge here. A quick kiss on the bridge after the cache find, and we were on our way back to Boston. For the most part, I won’t miss New England weather when we move to California. Today I could have done without the rain getting my sneakers wet, the humidity, the mud, and the mosquitoes around some of the caches. 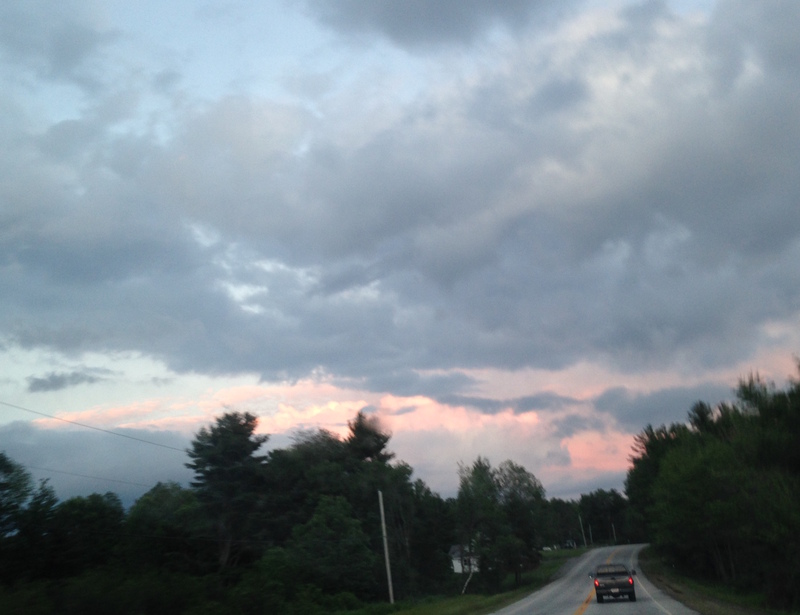 But the sunset over the Green Mountains really made the clouds look beautiful. I’ll miss this. I used to think that cleaning up and organizing was fun, but that was also when I thought I was good at it. Unfortunately, my illusions have been shattered: I don’t feel good at it anymore. MY HOUSE IS SO FULL OF STUFF! Where did it all come from? It can’t all go to California with us. Yesterday we had a yard sale. We sold a lot and made almost a thousand dollars. 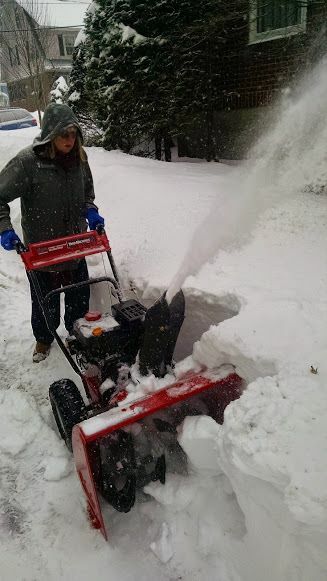 The biggest item we sold was the snowblower we bought in February during snowmageddon. We had survived for almost 12 years with a little electric one and shovels, but this last winter we broke down and bought a gas-powered one. We used it once. It was kind of cool: with a 208 cc engine of its own, it was a bit like a small car. It practically drove itself along the sidewalk. Now somebody else owns it, and is a little more prepared for whatever next winter is going to throw at us. Them, I mean. Throw at them. We won’t be here. The saddest part of the experience for me is the toys, and it’s not over yet. We sold quite a few toys at the yard sale, but we still have piles of them in the house: board games on shelves, Legos in boxes, dolls missing heads. Planes, trains, and automobiles. And stuffed animals. Oh, the stuffed animals. I bawled watching Toy Story 3. I was a kid like Andy, or perhaps even more like Bonnie: someone who played with toys, often by myself, and made them come alive in my imagination. I was also an introvert and a bookworm, sometimes more comfortable with toys than with other people. My dolls had a government, they lived in a couple of doll beds/cradles, and each doll bed had its own elected leader. Blonde Cinderella shed her rags and became Mary from the LIttle House books. She was accompanied by the shorter, brown-haired Brownie doll who lost her uniform and beanie to become Laura. They liked to drink tea a lot. I played my violin for them at night as we crossed the living room prairie. I still agree broadly with those sentiments, but as I survey the leftovers and try to come up with a plan that will satisfy my need for decluttering, my Toy Story angst, and my desire to keep junk out of landfills, I think the story is a little more complicated. We did try to shield our kids from a lot of commercial TV, and perhaps as a result they didn’t spend a lot of time lobbying us for toys. Sometimes they couldn’t even say what they wanted for Christmas or their birthdays. I remember being a little frustrated about this, and buying stuff–toys that I thought were beautiful, or interesting, or educational–anyway in hopes that they would warm up to it. Occasionally they did, but often not. Now I have to get it out of the house. This is about the time when I suspect that someone reading this blog is going to mention Marie Kondo’s book, The Life-Changing Magic of Tidying Up. Maybe it will be on Facebook. I haven’t read the book, but I’ve read reviews of it. The author’s main point seem to be that you keep only things that “spark joy.” While I find joy complicated and elusive even under the best of circumstances, I like the idea that you decide what to keep rather than deciding what to throw away. I also like her idea of thanking things for their service before you get rid of them. That makes the part of me happy that still thinks that toys have feelings. What I don’t like about her approach is that she seems not to care very much where the stuff goes when you get rid of it. The focus is all on the happiness of the person doing the discarding and not on the consequences of that discarding to the rest of the world. That bothers me. So I realize that for a lot of this stuff, it would have been better to have not bought it in the first place. I bought many of the toys more for myself, and for my idea of what childhood should be like, rather than for my kids. I didn’t know, and I just assumed they’d be like me in their approach to toys. Maybe I should have listened better to them. In the intervening years I’ve heard much more about kids who don’t play with toys, kids who are overwhelmed by all the bells and whistles that modern toys have, why it’s better for kids to have fewer toys, and people of all ages who want to simplify by having less stuff. All of this is normal, and it doesn’t mean your kids are internet-addled automatons just because they don’t play with toys as intensely and imaginatively as Andy and Bonnie. In any case, it’s not too late for me to become a better listener and a better steward of the stuff we do have. And if you want a gently used Sorry! board game or a Webkinz turtle or unicorn in good shape from a smoke-free, pet-free home, please let me know. Looking forward because I really enjoy playing POPS music. 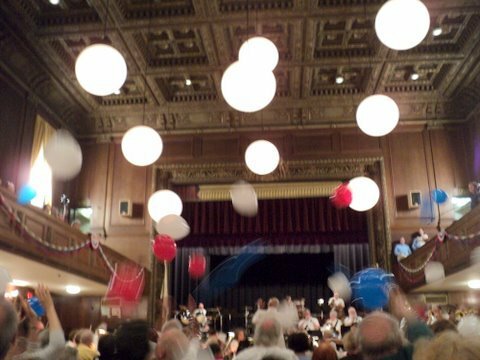 Over the years my orchestra, the Arlington Philharmonic, has performed patriotic songs, medleys from “Titanic,” Wicked,” “West Side Story,” and “Chicago,” music of Disney movies, Leroy Anderson, Henry Mancini, and John Philip Sousa (some videos are online here). This music always has its unexpected challenges, and sometimes it has a solo for me. (I particularly remember the year I had a solo I affectionately called “Intonation is a Wish the Heart Makes.”) When the weather cooperates (about 2/3 of the time) it really is a nice event. 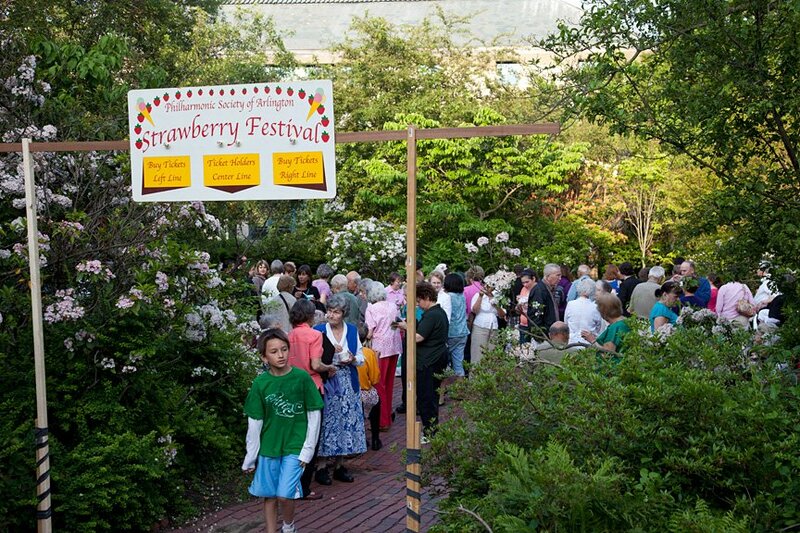 The strawberry and ice cream festival out in the garden near the Town Hall is fun for the whole family. Dread comes from anticipating the amount of work that it takes for an all-volunteer organization like the Philharmonic society of Arlington to put on a POPS concert and strawberry festival event. Tables, flowers, strawberries, hall rental, baked goods. Online publicity. A clown. This concert is a good–but not great–fundraiser for the rest of the season. I think that over the years the fundraising aspect has ceased to be the main point. The main point is tradition, and celebration. Between our last concert and this one, however, circumstances changed to make this my last POPS—my last concert of any sort–with this group. This summer, my family is moving to California. Near the end of the concert, we celebrated Snowpocalypse-Boston with a “Frozen” medley. I had a solo, “For the First Time in Forever.” I had sticky fingers to go with it. That too went by fast, and unlike my previous Disney solo, my bow didn’t shake. Early on I had changed a few of the printed bowings to something that made me feel more comfortable. I experimented with shifts vs. string crossings and decided that a little portamento was a benefit, not a liability, to keeping it all on the E-string. The solo comes on the heels of a particularly hair-raising part in “Let it Go,” so I didn’t have time to get too nervous. It was more of a relief than anything else. And the hot weather meant my vibrato didn’t freeze up. 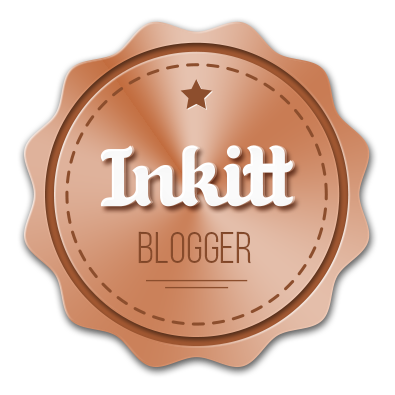 A couple of days ago I announced the move on Facebook and here in my personal blog. There I framed it as a new, exciting adventure, which it is, of course. Although I won’t have time for any music groups this summer, I’ve already made inquiries into auditions for other orchestras next fall. And if anyone in the SF Bay area or Silicon Valley (Palo Alto, Mountain View, Santa Clara, San Jose) has suggestions (or would be interested in getting together for duets/chamber music), please let me know! When I was 8, i didn’t find a wardrobe to Narnia. Gandalf, I‘m counting on you to take me on an adventure when I‘m 50! Like many of us in “comfortable middle age,” Bilbo Baggins is described in the opening of The Hobbit as living happily in his cute little house in the Shire. He likes it there. He doesn’t want to go anywhere else. That could have fairly described my life here in Belmont, too. 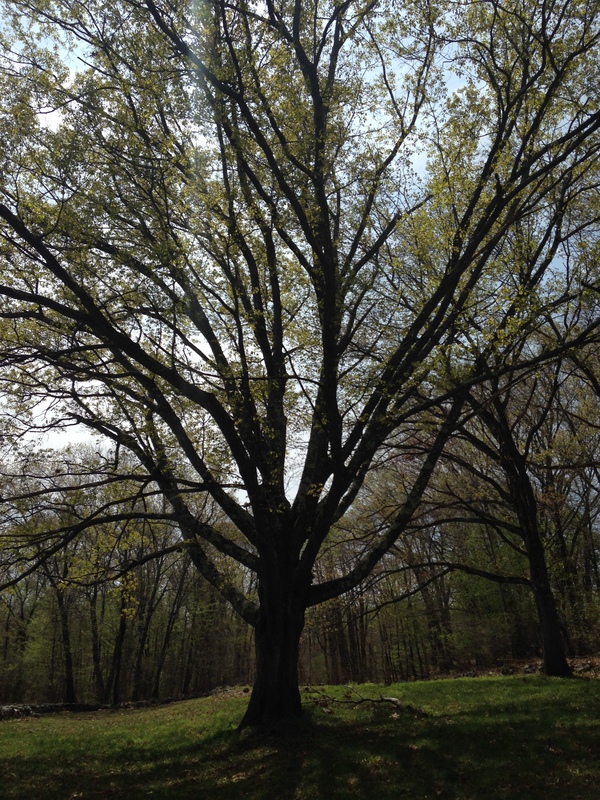 We’ve lived here in the Boston area since 1998, for almost 17 years. Both our kids were born here. We have jobs, go to school, have friends and hobbies. Our house in a quiet neighborhood, built in 1929, is a little cluttered quaintly overstuffed. Cup of tea, anyone? Then, several years ago, Google bought my husband’s employer. That took some of the financial pressure off, and in 2012 I retired from my job as a project manager in a neuroscience lab and began working part-time in science education. Now, in a reorganization, my husband’s job is moving to Google HQ in Mountain View CA. And we’re going with it. I have complicated feelings about this move, but one of the perks of being middle-aged is perspective; I can choose how to respond. This can be a loss for me, an occasion for regret, or it can be Gandalf’s knock on the door. Practically, I think this move has the potential to be a great opportunity for my science education career. One of the organizations that I teach with, Science from Scientists, opened an office in the SF Bay area last year. I’m now looking into a transfer of my own. But I’m also thinking bigger, or at least more broadly. Before I came to Boston for my first real job after training, I lived in California for 10 years, first in the Bay Area when I was getting my PhD in Neuroscience at Stanford, and then in Pasadena when I was doing a postdoc at Caltech. It was a tumultuous time in many ways: a melting pot of decisions and relationships, many of them good, some of them not. I got engaged in California–more than once. 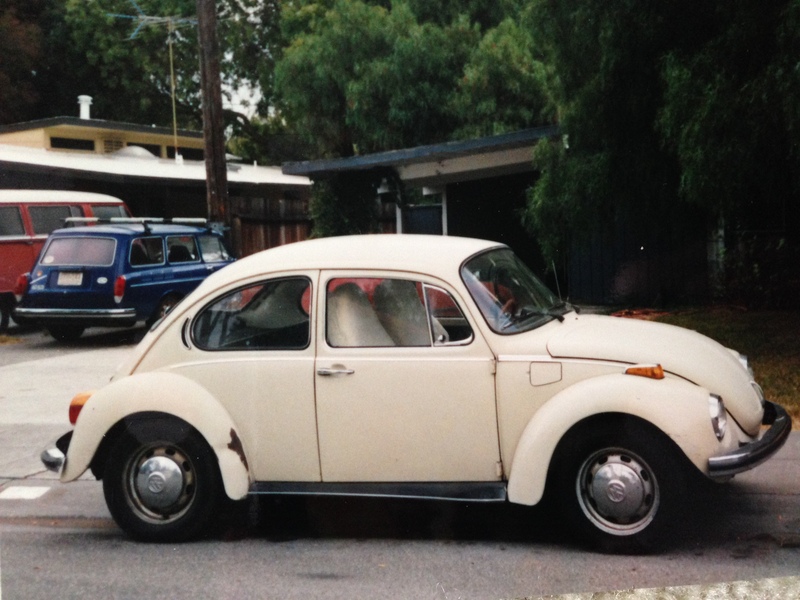 I also owned my first car: a beige VW beetle. I skied, I swam, I climbed half-dome. I discovered the internet, and re-discovered the violin. I became a Unitarian-Universalist. 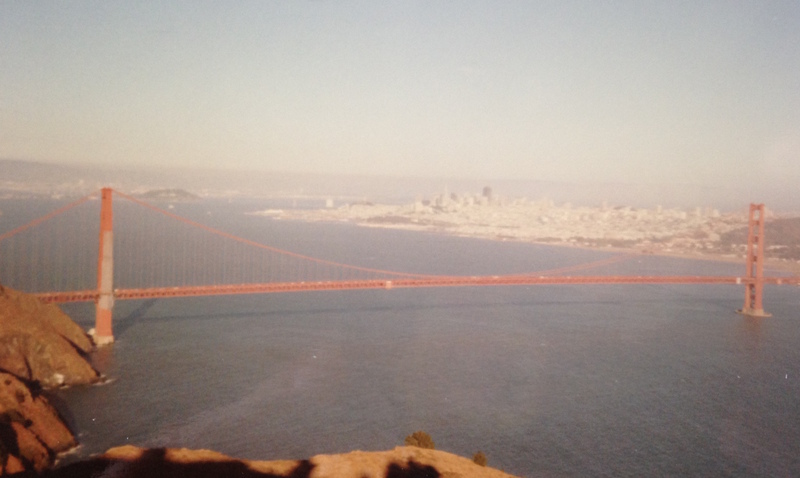 When I left CA, back in 1997, I wondered if I would ever be back. Now I know. What’s more important, intention or outcome? This question tends to come up for me particularly when I’m feeling like I’m under stress. I am often informed that there is no reason for me to feel stressed about a situation, because even if the outcome was/is sub-optimal, the intentions behind it were/are good. I’m almost always non-plussed by this logic. To me, it misses the point. I don’t spend very much time at all thinking about intentions. I find intentions to be confusing, vague, unclear–at the very least, complex and hard to understand. If asked point blank about a person’s intentions, I guess I’d say I assume they are good. But I might not even get that far. It’s becoming a hypothesis of mine, though, that this is not how most people operate. Perhaps most people operate, and respond to others, based on what they think others’ intentions are. For example, I’ve had people try to defuse arguments and tense situations by analyzing the intentions of the people involved. I’ve also experienced justifications from people–sometimes quite elaborate–intended to illustrate their good intentions after I point out some unwanted outcome that occurred. The assumption in both cases seems to be that the injured party will be able to let go of the injury once she realizes that there was no intent to cause it. And then all will be well. This strikes me as a curious and mostly wrong assumption. It does work pretty well if there was an actual misunderstanding about the outcome. If, for example, one person didn’t actually say or do what the other person thought she said. Your coworker did not, in fact, intend to ignore your important feedback. She really should have done what you laid out so nicely in that email. It would make both of your lives better. But, she just didn’t get the email. Her phone’s battery died and she was in transit between two important meetings, and by the time she could check, it was too late. She tried, her intentions were good. That works for me. But what if you’re told your coworker did receive your feedback and ignored it, but you still shouldn’t be upset about the fact that now your life is harder? Because she ignored it with good intentions. She didn’t intend to insult or belittle your contribution by ignoring it. She really does respect your time and effort, but just not enough to read and respond to your feedback. You’re too sensitive about these things. Maybe, but I still have to deal with the fallout of her ignoring my feedback. I still have to deal with the consequences and the outcome. Her intentions really don’t matter in that case. Or when someone says something thoughtless and mean, something that hurts? And then backpedals that it’s just a joke. “I didn’t intend to cause offense. I’m sorry you took it that way.” As far as I can see, the only thing that can be done about people like that is to avoid interacting with them whenever possible. I wonder if it’s scientific training that makes me place such a high value on outcome. Experiments don’t care what your intentions are. Experiments don’t care what you intended the outcome to be. Experiments are going to come out the way they come out. And a small but successful outcome is worth a thousand good intentions. The past two weeks have been a . . . what? I’m tempted to lapse into cliches–“roller coaster,” “whirlwind,” or maybe “sh**storm” (as one friend from church described it). My 12-year-old son had acute appendicitis, from which he now seems to be recovering nicely, thank goodness. And, while he was in the hospital, my German father-in-law passed away. While this was not unexpected, as he was almost 86 years old and his health had been declining, the timing was difficult. Thanks to my parents’ generosity in watching our kids, including our convalescent son, for a week, I was able to go to Germany with my husband, attend the memorial service, and help clean out old possessions. We’re back now. The 6-hour time difference between Germany and Boston has not yet fully worn off, leading me to wake up before the sun. My husband grew up in a small midwestern town called Mülheim an der Ruhr, in the “Ruhrgebiet” near Düsseldorf. “Midwestern” actually connotes some qualities in Germany that are similar to those it brings to mind in the US: modest, hardworking, family-oriented, industrial, not given to religious or political extremism, and possessing of an accent that is easy to understand. I learned Hochdeutsch (“high German,” a standardized dialect used in education and commerce) at university, and it stands me in good stead in the Ruhrgebiet, unlike, say, in Bavaria. We decided early on in our life together, after a rather harrowing overnight flight on our honeymoon (which we still refer to as being MÜDE IN MÜLHEIM), that our later trips back to visit his family and friends would go through London, would include an overnight stay there in an airport or other hotel after a day flight, and would continue on to Germany late the next morning. “But you waste a whole day that way!” some folks have protested. Perhaps, but our experience is that the day is wasted anyway after an overnight flight, and includes a wholly unpleasant (and in my case unsuccessful) struggle to stay awake that precludes doing virtually anything else. 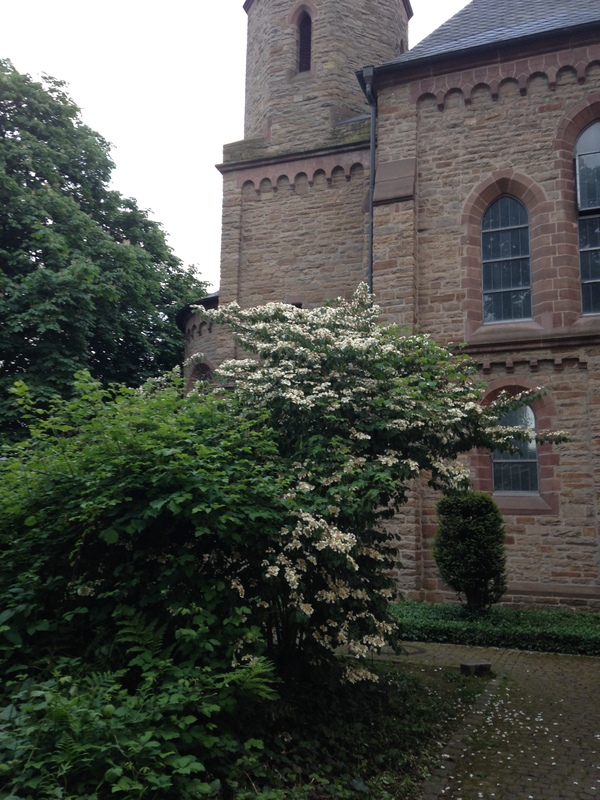 After arriving in Mülheim with our rental car, we went to his stepmother’s house to see what was left. She had already taken care of many things, including the Memorial Service arrangements for the following day. But there were boxes–many boxes–up in the attic, in the basement, and in a room that my father-in-law had used as a study after retiring from his job as an English and French teacher in the Gymnasium my husband attended. In truth, the thought of all this “stuff” made me a little anxious: my father-in-law’s difficult life circumstances had taken their psychological toll and had made him want to hold on tight to things. Taken prisoner in Pomerania by the Russian army when he was only 15 and sent to a Siberian labor camp, he had lost everything in World War II. After the war, he had come to Mülheim with “nothing but a blanket and two left shoes,” and found happiness with his teaching career and his wife and son, until his wife–my husband’s mother–passed away in 1989, before we ever met. He had since remarried, to a lovely and loyal woman, my stepmother-in-law, and it was she we came to see now. She herself wasn’t sure what was in all those boxes. 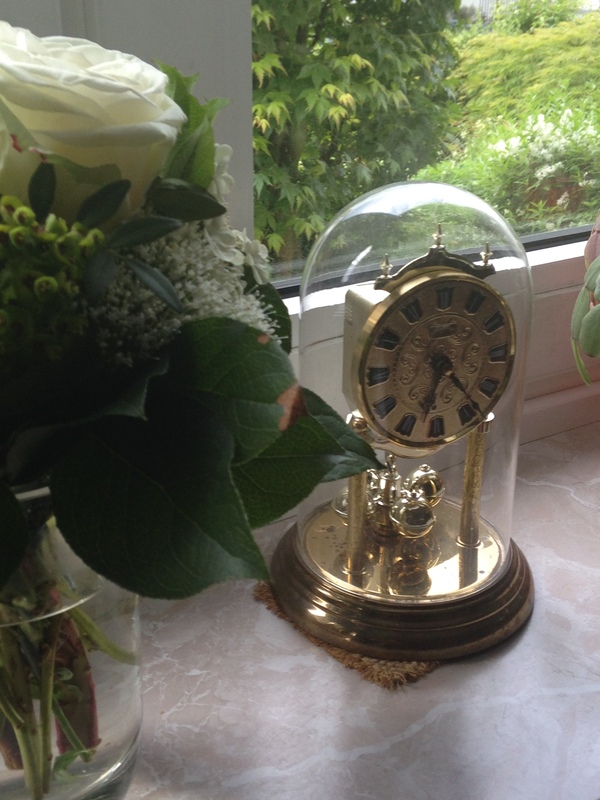 As we talked, she pointed out a clock on the windowsill. We have a similar one at home, it is called an “Anniversary Clock.” This clock was a gift from him early in their marriage. It had stopped some time ago and nothing she could do–new batteries included–would start it up again. 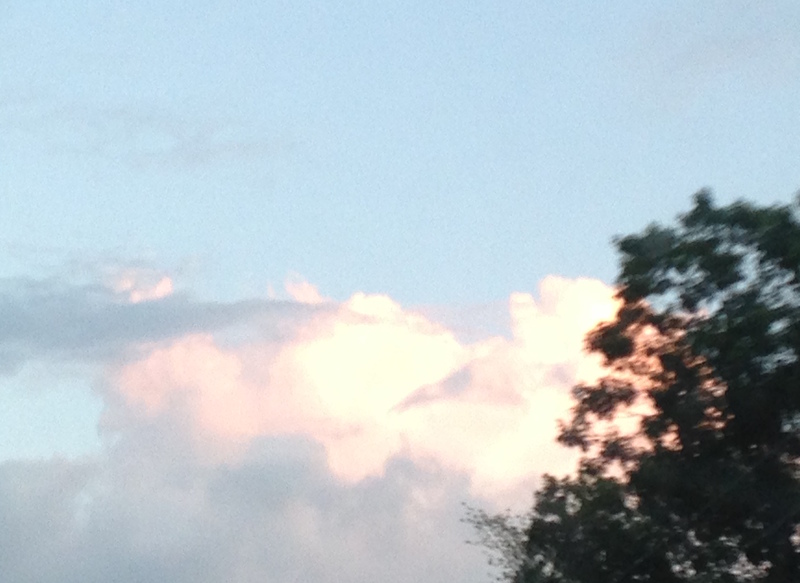 But the morning he passed, it had somehow mysteriously started again, and was still going. This clock now reminded us how late it was–already after 6 pm–time passed very quickly there up until the end of our visit, largely but not only because of the time difference. We started going through some old folders and albums. Some of the folders were easy to dispatch: receipts from the 1970s and 1980s for furniture, appliances, and books; bank and insurance statements. These were no longer necessary to keep–the appliances themselves, and even the furniture, were long gone–but there were a lot of these papers, and they were pretty dusty and musty. 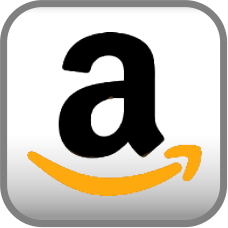 We were looking for “treasures:” personal correspondence, photos, bank account and insurance verification that would make our task of closing out accounts easier. There weren’t many of these treasures to be had at the moment, so we took a break and went for a walk to look for some geocaches there in Mülheim around my stepmother-in-law’s house. 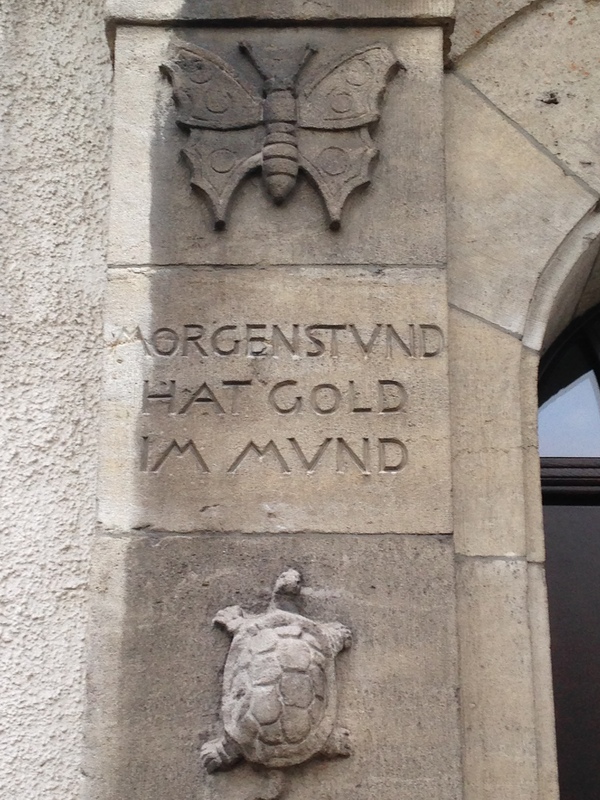 This search led us to an old school building down the street, which had some interesting carvings: “Morgenstund hat Gold im Mund,” reads one. I had to ask my husband what that meant. According to him, it’s a popular folk saying in support of being an early riser, kind of like “Early to bed and early to rise makes a man healthy, wealthy, and wise” is in the US. “The morning hour has gold in its mouth.” I’m reminded of the sunrise itself, the early morning when the golden sun makes its appearance. I can’t speak to the relevance of the turtle or the butterfly, but they’re sweet. There was also what looked on first glance like a large, green field. 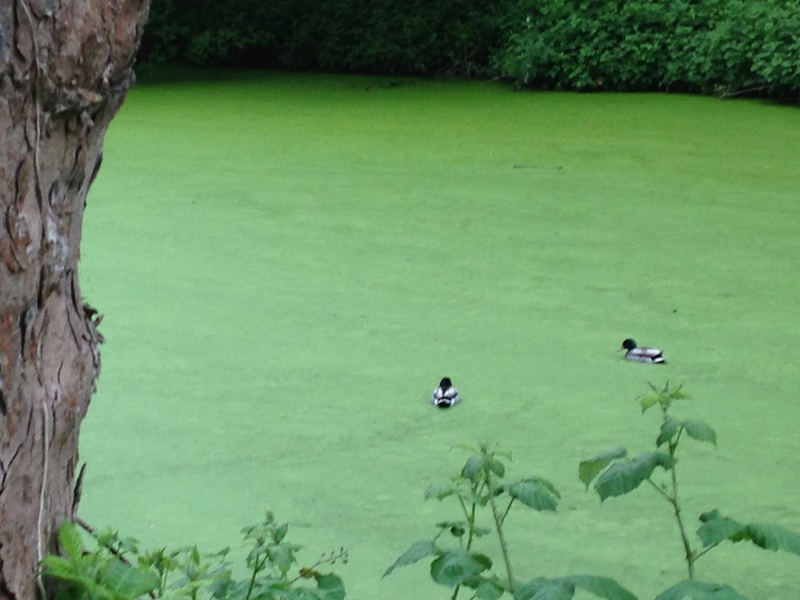 But on closer examination, this field was revealed to be a pond, complete with ducks swimming in it. 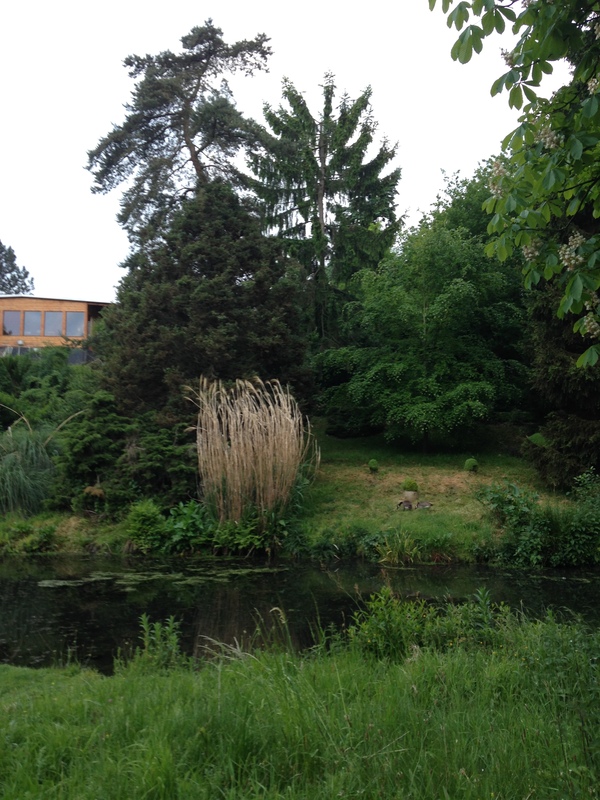 My husband mentioned that, despite having grown up in Mülheim, he had never been here before. His stepmother lives in a different part of town from where he grew up. We planned to visit his childhood home in the coming days too. It was sold a couple of years ago and a new young family is now living in it. The greenery, the museum, the ducks, the clock, the river, the advice from some 20th century architect-sage. These all helped us feel part of the circle of life as we prepared mentally for the Memorial Service tomorrow. 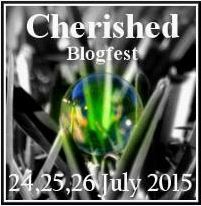 Reflection: who are we blogging for? 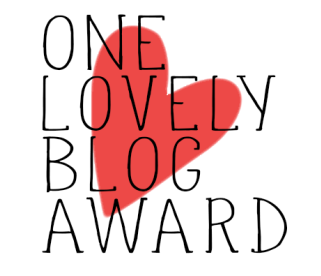 While this is not any special anniversary of my blog, I’ve written enough that I feel like it’s time to look back and reflect. Scott Adams says he blogs as writing practice. I’ve been doing that too: in fact I’ve already moved from the “blogging as practicing writing the novel” stage to the “blogging as procrastinating writing the novel” stage. 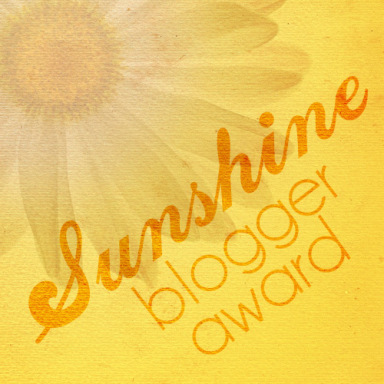 I also like Demiannee’s list of what blogging has taught her. 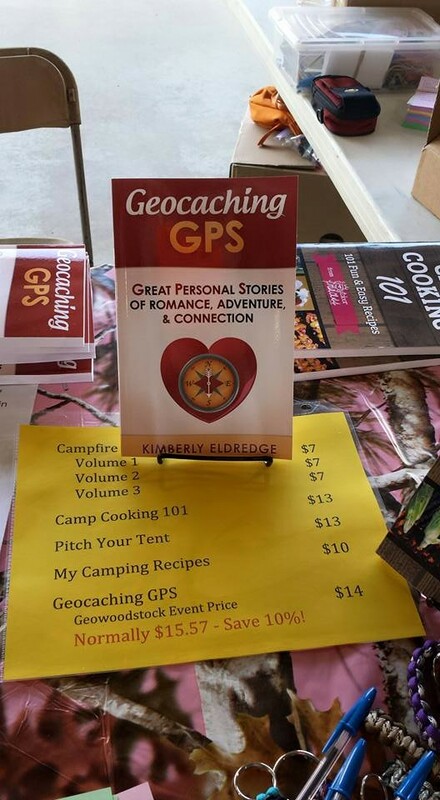 Geocaching GPS, a short story anthology with my story, “Bobbing for Bob,” is now available at GeoWoodstock XIII! When the conference is over, it is also available at Amazon.com as a paperback and a Kindle edition. Either my husband or I (or both) had been hoping to be there, but we’ve had a rough week. His father passed away on Wednesday and we are leaving for Germany tomorrow for the Memorial Service. I’m looking forward to reading it when I get back. There are a total of 43 different stories, and a Forward by Bryan Roth, a co-founder of Geocaching. The stories are placed in different categories in the book: Romance, Adventure, Connection. A few pages, including the Forward, are already available online in the Kindle edition. Although I think my story could have gone into any of the categories, it’s in “Stories of Adventure.” I wrote about diving for a cache named Bob in Hawaii, and in the process trying to overcome a kind of deep-seated fear that I have of diving into deep water. I didn’t make it all the way past that fear during the cache find.  Although I did make it to the bottom of the buoy where the cache was attached, it was my husband who was ultimately able to make the find and bring the cache container to the surface. But what made it a story of connection and romance too, in my opinion, is that tough things, difficult things like facing your fears of drowning, are best done together, with someone you love. Geocachers in my area are likely, at one time or another, to end up in an institution. No, it’s not because geocaching drives them crazy (although you never know). It’s because of where the geocaches are hidden. For example, there are a few caches on or near the grounds of McLean Hospital, a mental hospital which at different times was home to troubled artists including Sylvia Plath, Robert Lowell, and Anne Sexton. We spent more than one long afternoon looking for a cache there called “Cache, Interrupted” (whose name evokes the mental health memoir, Girl, Interrupted). It has since been archived. No longer the fearsome setting described in The Bell Jar, McLean Hospital has become a fully modern clinical care and research facility. More recently my husband and I decided to take a walk to another cache in a meadow, this one called “Unmarked.” It is a little multicache in a cemetery. Someone had planted daffodils at one of the memorials, but most of the graves were unidentified. The sign said that this cemetery was for people who had lived at the Fernald Center. 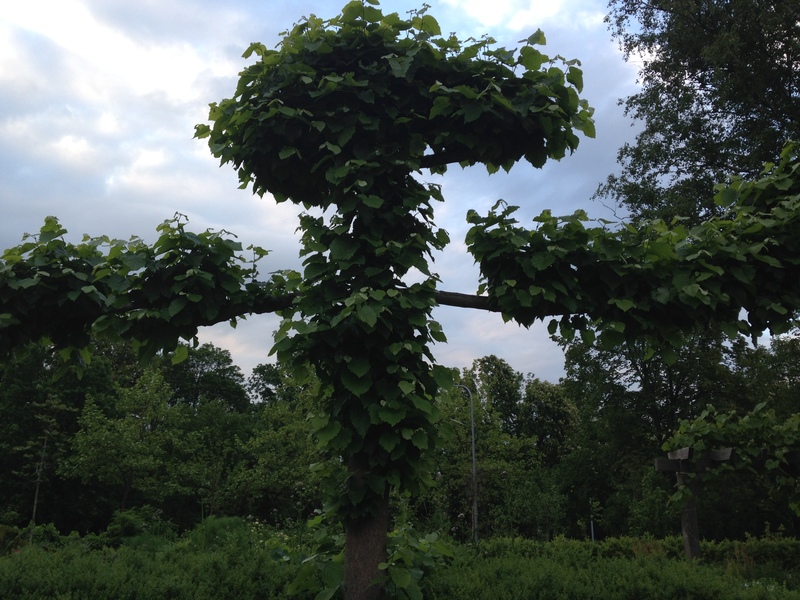 I had driven by the Fernald Center a number of times, but never known what it was. 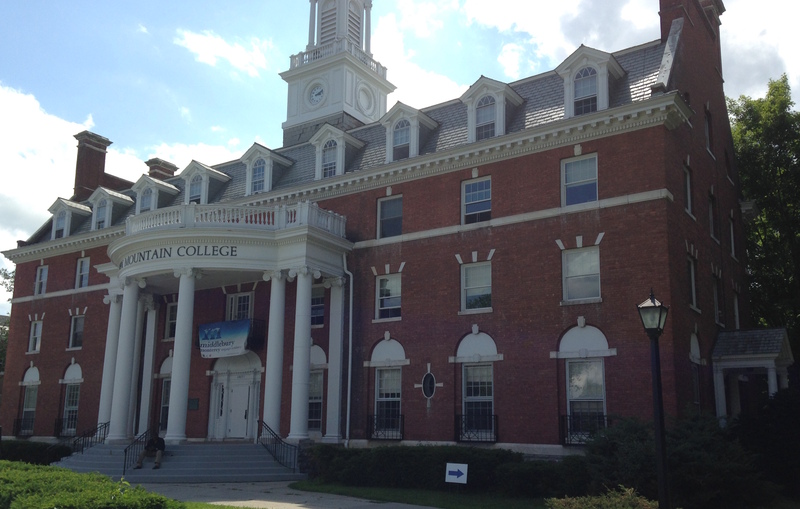 It turns out that the Fernald Center is another institution with a more troubled history. It was founded as a home for the “feeble-minded” and Walter Fernald, the superintendent, was a proponent of eugenics. According to wikipedia, in the mid-20th century, some of its residents were subjected to sterilization and radiation experiments. It reformed its practices in the late 20th century, and it closed for good only last year, in November 2014. The placer of this cache asked us to remember the people who lived there, and those who worked there and cared for them. Their stories should not be forgotten. 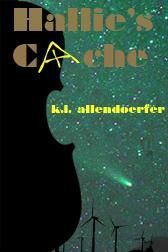 Since November 2012, when I wrote the first draft of my novel, Hallie’s Cache, for NaNoWriMo, I’ve been interested in writing about geocaching. My husband, who has over 10,000 geocache finds, is also better at logging his finds on the official site, whereas I, with <10% of his total finds, always seem to have a significant backlog. I’d like to think that’s because I want to write more about each cache find, as I find it. I want each cache to have a story. 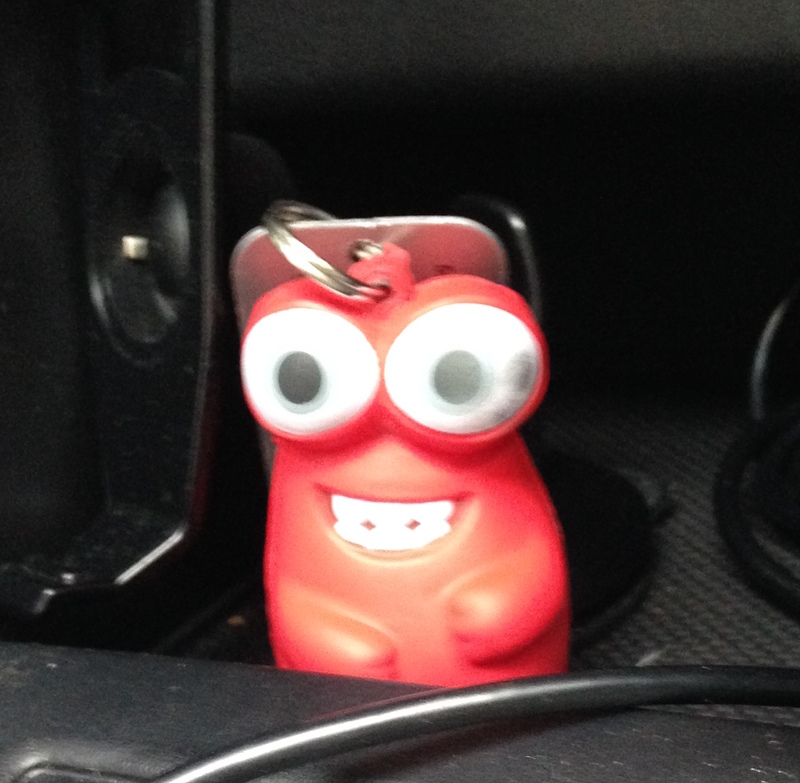 But I can’t write a story–good or otherwise–about finding 20 or 30 caches in a single day. I just get overwhelmed. After a day like that, I can’t even remember what I was looking for that morning, let alone last week. So, like a lot of people, sometimes I make a template of 1-2 sentences about my caching goals, or a little summary of where we went and what we did, and then I just copy and paste it into the logs for all the caches I found that day. It makes logging easier. Easier, yes, but more fun, no. So, to see what others do, I’ve started reading fiction based on geocaching. It’s still a small genre, small enough that First to Find has not yet been totally overused as a book title. 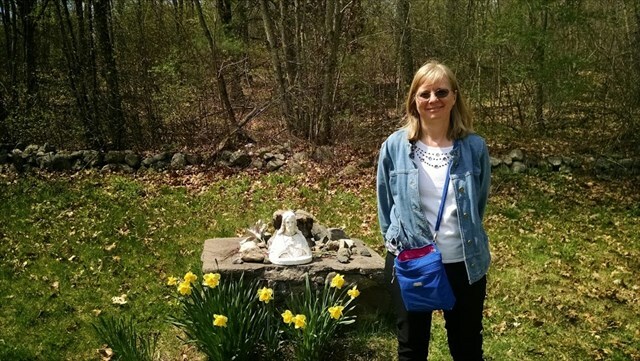 Morgan C. Talbot’s “Caching Out” series is a fun set of cozy mysteries based on geocaching. I read the first volume in the series with my husband in the evenings. I found the descriptions of geocaching to be very accurate. Her caching names are great–just as, if not more, inventive than those belonging to people I’ve met caching. The characters in this series are also well-drawn and memorable: two women in a not wholly unlikely friendship, different enough from each other to be interesting, not so different that the reader can’t identify with them. And, in the course of the novel, she explains how geocaching works very well, without talking down to or boring more experienced cachers. We also found another mystery paperback in a geocache recently: To Cache a Predator by Michelle Weidenbenner. I admit that I have not read this one yet, and my husband took it on a plane trip to California, where he’s planning to leave it in another cache after he’s finished reading it. It’s interesting to me, though, that the author wrote this one during 2011’s NaNoWriMo. I’m not the only one who does this when faced with a blank screen to fill with 50,000 words. It was actually on Morgan C Talbot’s Facebook page–which I liked a couple of years ago–that I found out about the geocaching story contest. 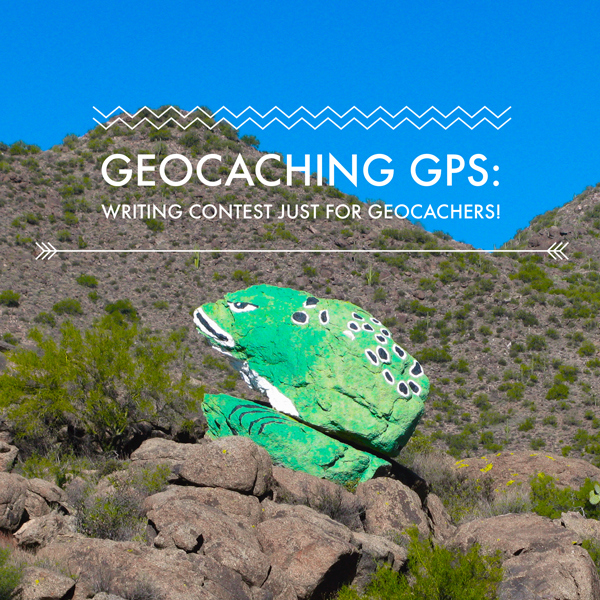 The contest asked for a personal story related to geocaching, about romance, adventure, or connection. It had to be 1000 words or less, and it had to be true. There were all of 2 days left before the deadline, and I was scheduled to go to a training for teaching OWL the day the stories were due. I didn’t think I was going to be able to make it. But I thought it was worth a try, and I started writing that day, worked on it for a couple hours, thinking of what to write about. It wasn’t that hard to think of an idea. We’d been caching in Hawai’i last summer, and found a diving geocache called “Bob.” I found it with my husband, and we’d been bickering a bit before we found it. 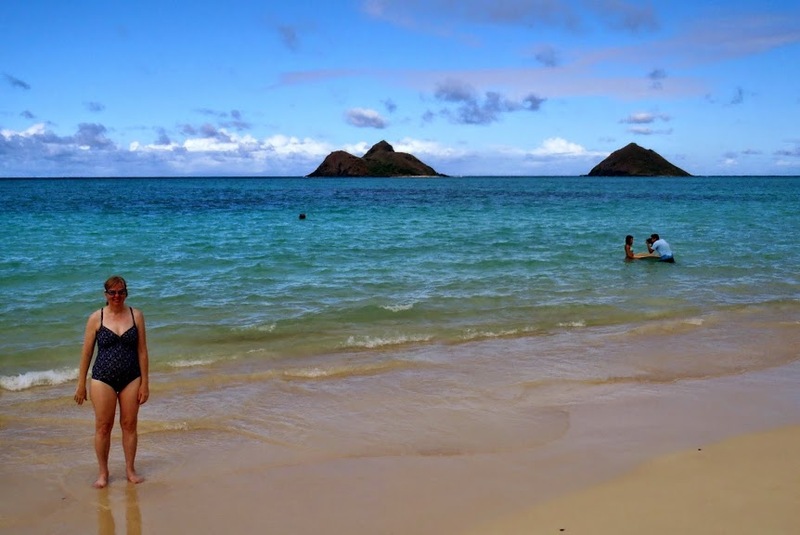 But the afternoon had, in fact, had a little something of everything that the editor asked for: romance (two lovers in an exotic locale), connection (husband and wife bickering but reconnecting in the process of finding the cache), and adventure (it’s diving and it’s in Hawai’i). Standing on the beach, ready to go for Bob. But I was only about 2/3 done when I went to the training, and I had also arrived there late due to some teenage drama–all resolved, but still. After the evening session of training was over, we trainees went back to our rooms and settled in for the night. I ended up having a surprisingly passionate and somewhat prickly conversation with my assigned roommate, about music. I needed a break and I think she did too. So, I took out my laptop, and between 10:30 pm and midnight, finished the last third of the geocaching story. It seemed to end a bit abruptly, but I also know that I can be wordy at times without meaning to, and that I’m not always the best judge of when to stop writing. Regardless, it was exactly 1,000 words, and only a few minutes before midnight on deadline day. I hit send and went to sleep. 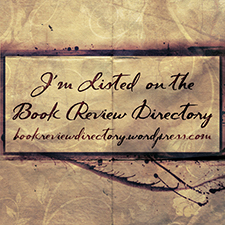 It was more than another week before I found out that my story had been accepted. During that time I convinced myself that it was okay if it didn’t happen. I would still read the book even if my story wasn’t in it. Maybe there had been too much bickering at the beginning. Maybe it *had* ended too abruptly. Maybe my husband didn’t want to be in the story at all (even if he said he did). Maybe the title was dumb. Maybe she didn’t believe there really was a geocache in Hawai’i named Bob. But then I got the acceptance email. The book looks great! It will be launched at Geowoodstock, on May 23, 2015. I, the slow logger of caches, am now a published author! I can’t wait to read all the other stories too!